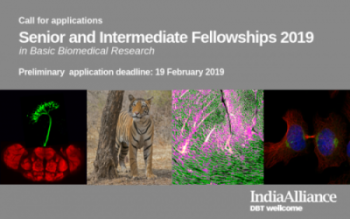 New Delhi: The Wellcome Trust/DBT India Alliance has invited applications for its Senior and Intermediate Fellowship scheme. 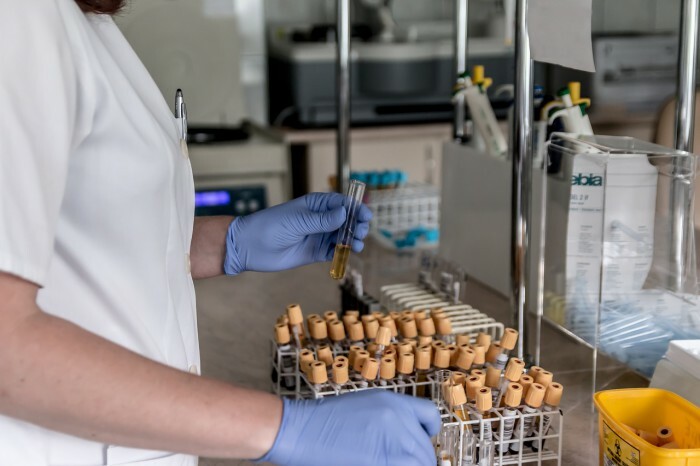 These Fellowships are available across the full spectrum of biomedical research from fundamental molecular and cellular studies through clinical and public health research. Interdisciplinary projects can also be taken up under the fellowship scheme. This competition is open for basic science/veterinary researchers with 4 – 15 years of post-PhD research experience; applicant can have a PhD in any discipline of science. Applicants have been advised to choose the most appropriate scheme based on their qualification, research experience, track record, and aspirations. Application forms are available from 22 January 2019 on the India Alliance online application System. The preliminary application deadline is 19 February 2019, 2 pm IST. One can visit the website for further information on these fellowships. Queries can be addressed to [email protected]. There are no age or nationality restrictions. The applicant need not be resident in India while applying but should be willing to relocate to and work in India. A salaried position or commitment towards a salaried position at the host institution is not required. For Senior Fellowship, the researchers who have demonstrated their ability to lead an independent research program and want to expand it further to undertake pioneering research will be considered. 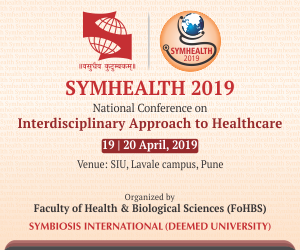 For Intermediate Fellowship, the postdoctoral researchers who have been successful in building a track record of pursuing cutting-edge research and wish to establish their own independent research program in India will be considered. The 5-year Fellowship provides competitive personal salary support, generous and flexible funds for research and funds to develop international collaborations. Requirements for the application include a research proposal that is based on a hypothesis and seeks to answer an original biomedical research question. Also at least one letter of recommendation and a not-for-profit host Institution in India that will administer the fellowship for the complete duration of the award. A sponsor at the host institution, who can guarantee space and resources for the duration of the award is required. If invited to make a full application, an official support letter from the sponsor would be mandatory.